Posted on 16 December 2012 and filed under Clutch Bags, Très Chic. I love all of those fabrics, however, I had no dilemma which one to start with: velvet! I’ve got a soft spot for velvet, but I guess that might be quite common. One of the pieces of velvet in the stash was in deep midnight blue colour – one of my favourite velvet colours. 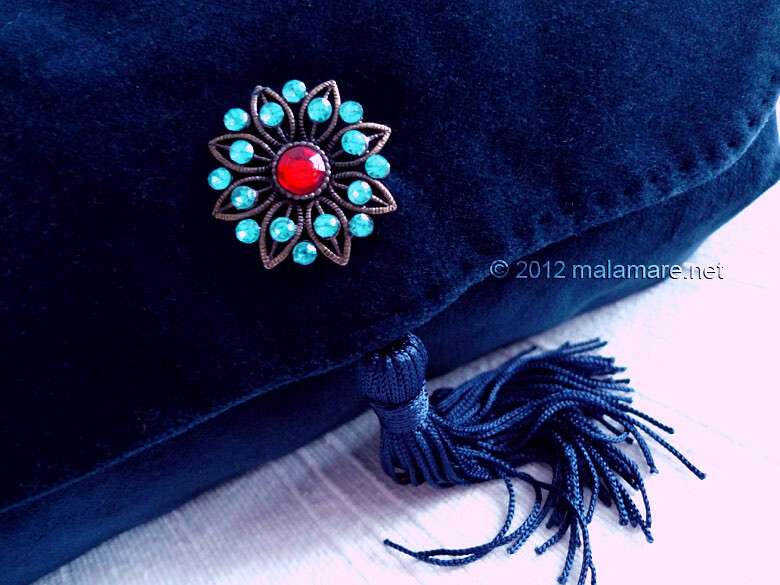 And then I found an ornamental button with sparkling light blue stones, as well as matching dark blue silky tassel – just what I needed for elegant evening velvet clutch bag that I had in my mind for so long. 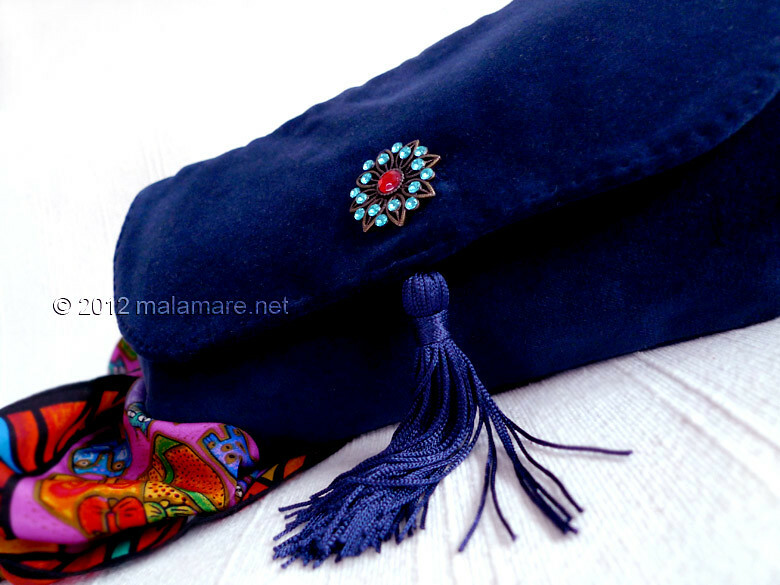 Midnight blue clutch bag is made from deep blue cotton velvet fabric. 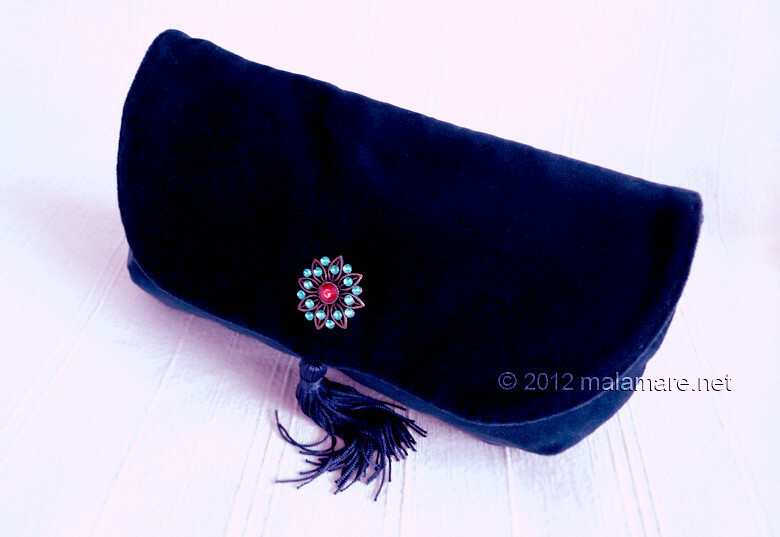 It is decorated with ornamental button with sparkling light blue and red stones and silky shiny dark blue tassel. 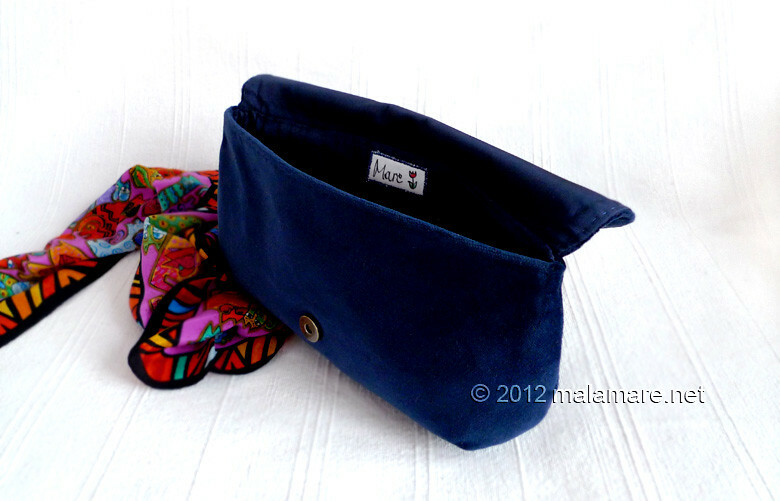 The bag measures 30 cm by 17 cm, it is interfaced for firmness and shape and lined with dark blue viscose fabric. There is an open pocket inside of it and it closes with magnetic snap closure.